An old photo… looking at my boots makes me so glad I bought new ones! 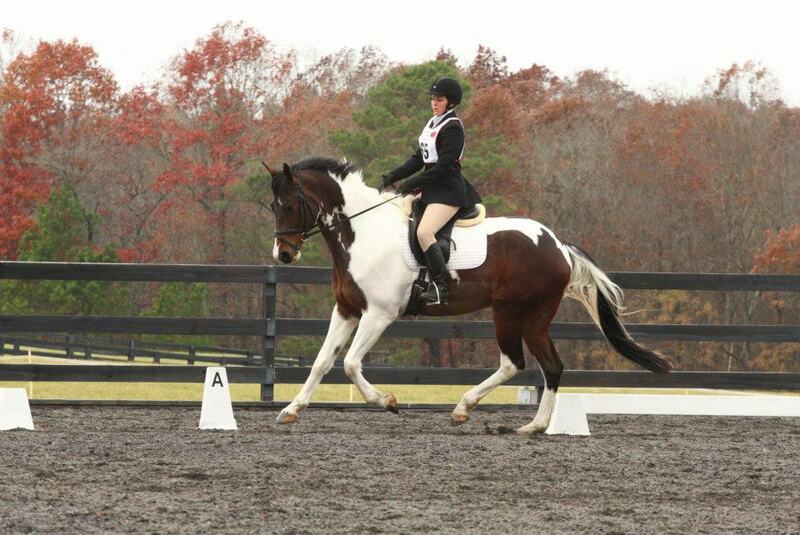 A couple weeks ago we had a lesson with a trainer who emphasized relaxation in our dressage work. Since then I have been working to build the trust back into our riding, in hopes that he can relax and not be worried about every little transition we do. I won’t say it’s been less demanding, because as a rider it has forced me to tune into every idiosyncrasy and be very finessed and finite in my aids. We’ve been doing more stretchy work and transitions from left to right bend in hoping that he will stay connected over his back more consistently. I have also been extremely aware of his tempo, after our lesson pointed out that he tends to surge forward (or get behind my leg) occasionally and it’s up to me to give him the responsibility of maintaing a steady rhythm. While it is definitely still a work in progress, we are definitely moving forward. Last night I really started feeling the impulsion I’ve been seeking for months, and maintained relaxation with minimal bracing for most of our 45 minute ride. His right lead canter depart is finally becoming automatic again, and while I haven’t been able to convince him not to use his neck in the departs, I am confident that will come too. We were even able to do some nice straight leg yields. Ok, so maybe they were almost a western jog, but they’re getting there! The biggest accomplishment laterally is that he in no longer traveling crooked and I can put those haunches where I want them! I am excited to really start correct shoulder in’s, haunches in, and all the other fun stuff that goes with it. Give us a year (or 10) and we’ll look just like Jim and Art Deco here! 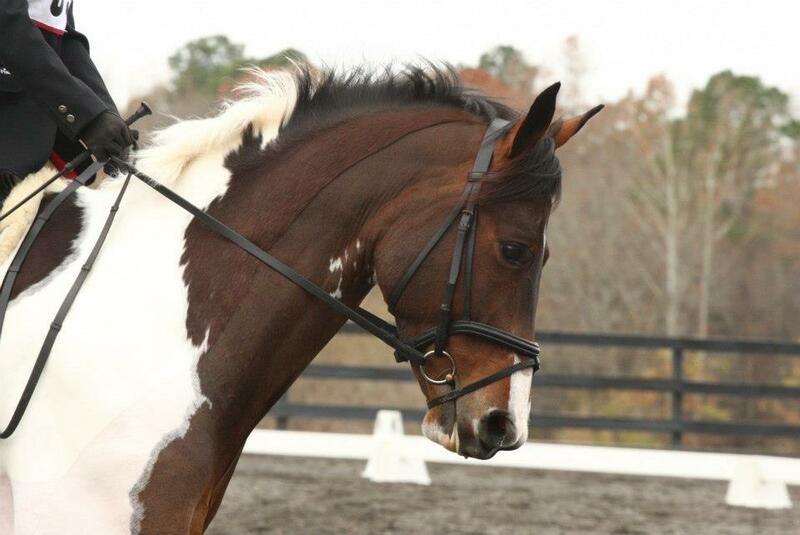 Sorry for the long, winding dressage post! I’m hoping to look back on this in a month and be able to mark even more progress. Things are coming along though. Practice (and zen) makes perfect! It’s definitely one of those things that can only be built with time. 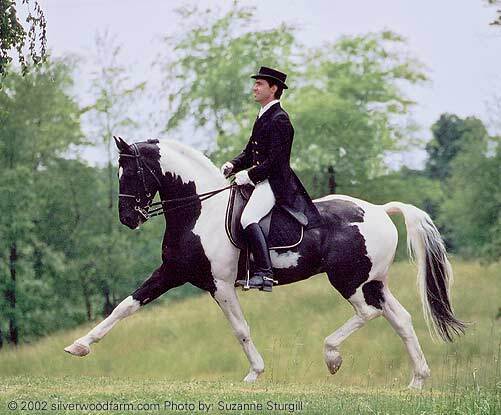 It’s been a trend at some of the schooling horse trials I’ve been to to wear the pinny in dressage. Kind of a bummer since it definitely does not make for as pretty a picture!